← Wordless Wednesday: Easter Bonnet? 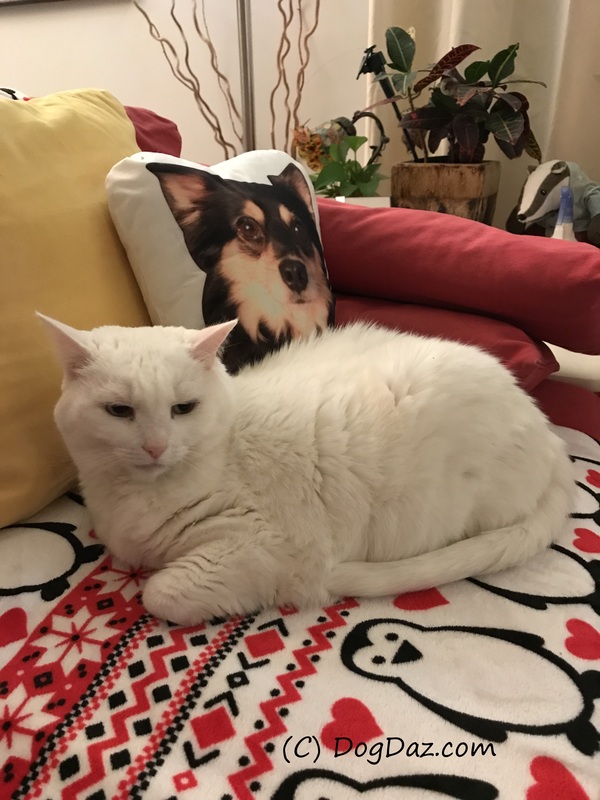 Noel is looking a little worried because the Charles pillow seems to be watching her no matter where she goes. I am worried that we will come home and find that pillow shredded to pieces because it just spooked her once too often. Better the pillow then the actual pup, at least. Noel is larger than Charles in real life. Giant Charles is a good warning for Noel. If she ever gets a bad idea in her head, I hope she remembers that giant, scary guy.